Preheat oven to 350. On a large baking dish place all peppers whole. Add 1 cup of water to the bottom of the pan. 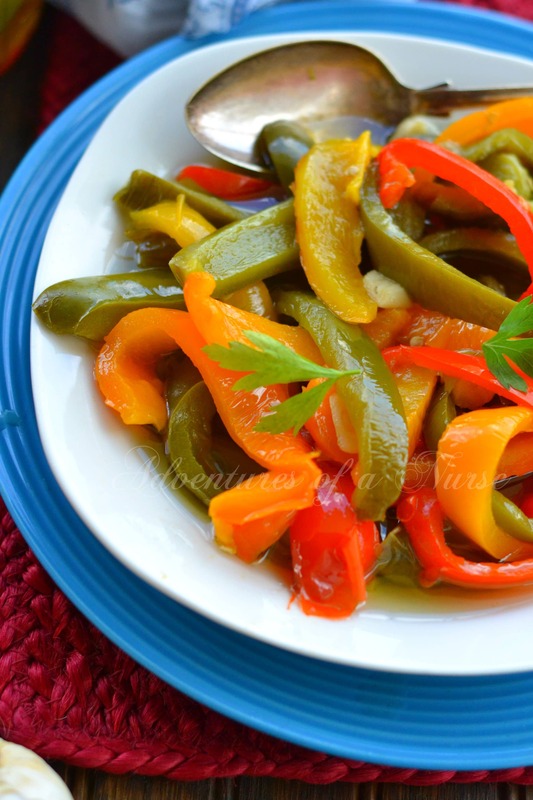 Slow roast the peppers in the oven for 30-45 minutes or until tender. Finely chop all garlic. Remove skins from peppers and slice peppers into thin strips removing seeds and stem. 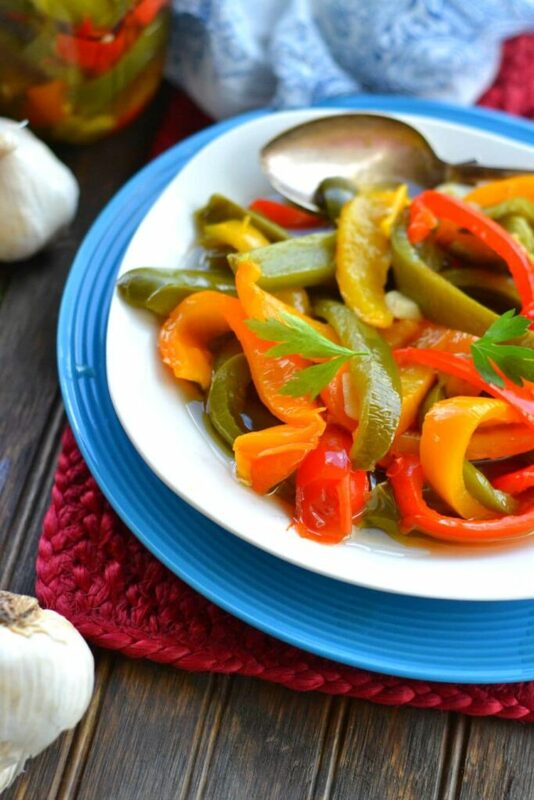 Place peppers an garlic in a large bowl with olive oil. 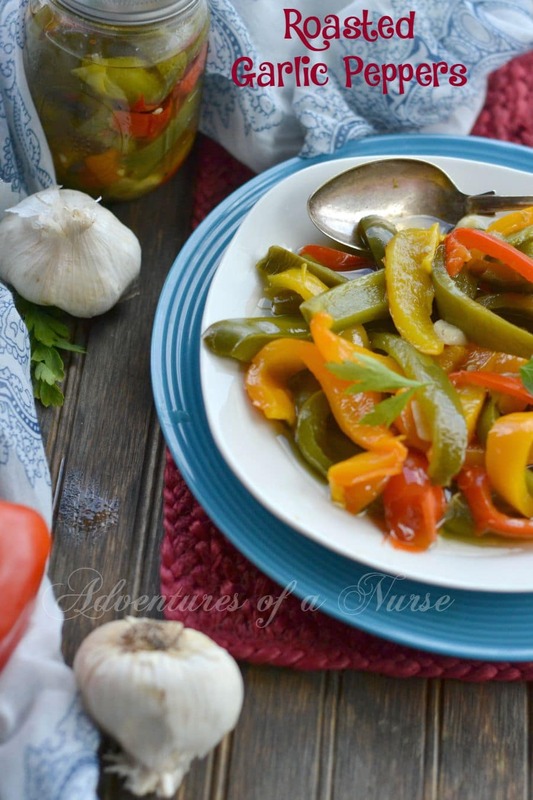 If you would like to can this in 6 large mason jars add peppers to mason jars with olive oil covering peppers. These peppers taste better the longer they sit. Enjoy them on breads, pizza or in any dish.